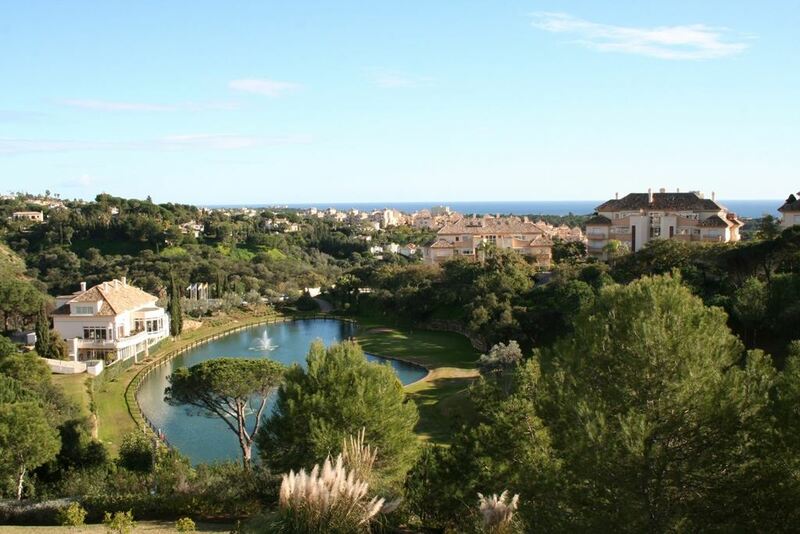 This large two-bedroom garden apartment is wonderfully situated within the sought-after Elviria Hills estate, facing to South and boasting green and sea views. All on one level, this property offers easy access from the block entrance, its master bedroom is en-suite and the kitchen open. The luxury, bright and sunny apartment is featuring hot and cold air conditioning, under-floor heating in bathrooms, electrical shutters, alarm system in the apartment and in the garden, sold with a parking space and the adjacent store-room.